Hi stampers! Sorry I've been lagging somewhat with my posts lately. I've been busy with custom work orders (Woo Hoo!) and I was gone for several days last week getting my creative bucket full again. Now, it's back to business! I've missed you! Thought I would share the thank you's I put in my Stamp Club Gal's orders after our last gathering. I kept them sweet and simple. To create the vase for the Bright Blossoms stem of flowers, I punched out a Small Oval in Cherry Cobbler card stock then simply cut off about a third of the oval. Voila! Instant vase. A new Stamp Club will be starting in September. If you're interested in coming over every other month to make some fabulous projects, contact me and I can send you all the details. I like to spoil my gals! 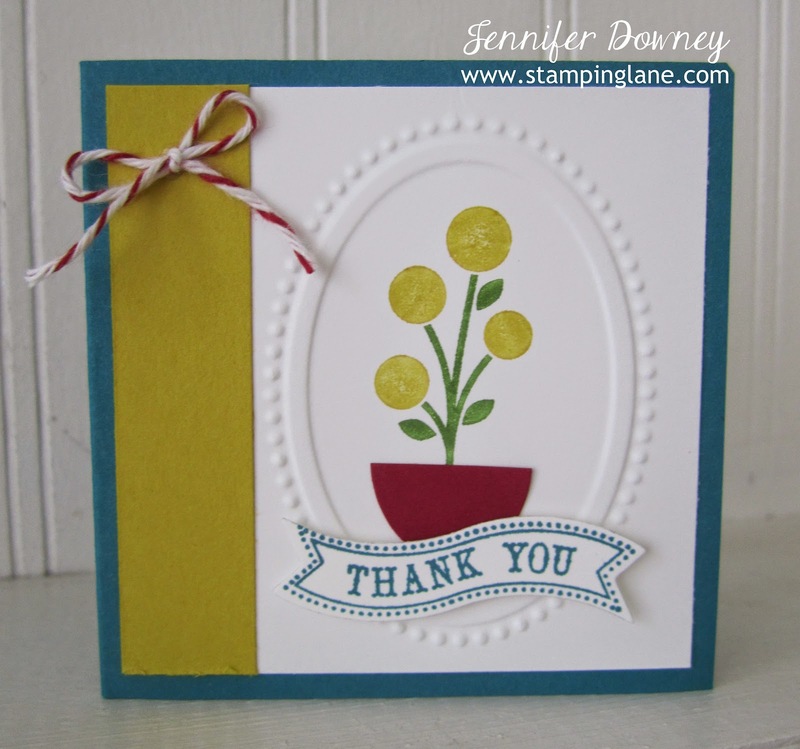 *wink wink* Happy Stamping!